True Grit is destined to succeed in place of his legendary, deceased sire. 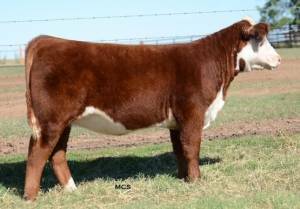 True Grit is flawless in his structural makeup and owns a tremendous outline and pattern. 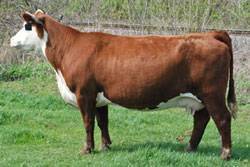 He's smooth shouldered with a chiseled front one-third, and truly built for calving ease as his pedigree indicates. 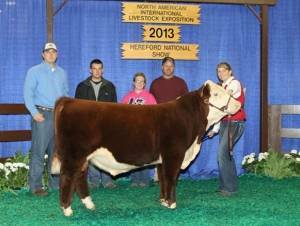 True Grit's dam is a model Hereford female with great udder quality. 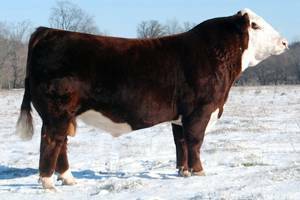 True Grit had a great show career, most notably being selected as the Supreme Champion Bull over all breeds at the 2011 World Beef Expo.